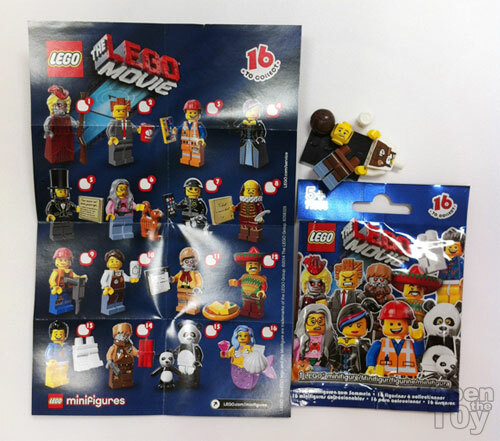 Today our guest post from Yeetat will be reviewing two blind packets of the LEGO minifigure toy from set number 71004 The LEGO Movie Collectable Minifigure series. If you are not aware, here is the official movie trailer for The LEGO Movie. 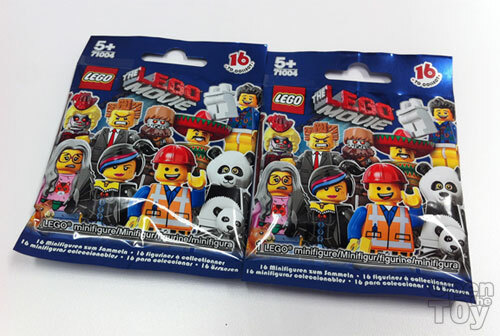 Each packet contains the LEGO pieces to build any one of the sixteen minifigures for this movie. There is also a brochure about your minifigure and the movie itself. Now we have opened the toy, let's see which minifigure we have. This is Hard Hat Emmet. 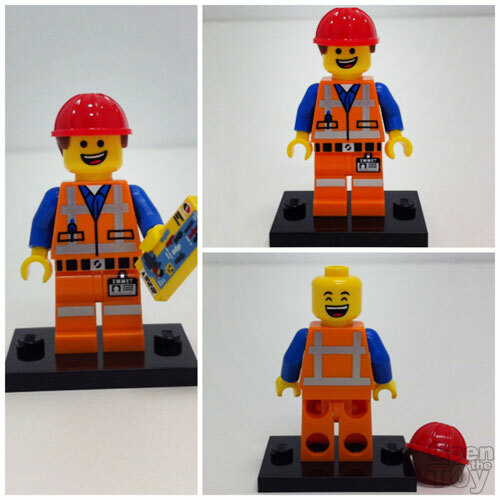 He is a construction worker and is also the protagonist of The LEGO Movie. That said, he looks just like a regular normal LEGO minifigure. The front of Emmet's torso is printed with a construction worker uniform, one of his leg piece is also printed with a name tag he carries. He comes with a double-sided face and there is backprinting on his torso. His hard hat is a special LEGO piece because Emmet’s hair is “attached” to the sides of his hat. Emmet carries an instruction manual for his accessory. What is this instruction manual about? You have to watch the movie to find out. This is Larry the Barista. 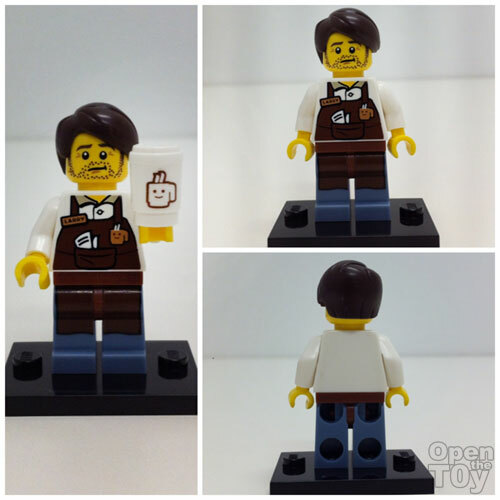 He sells coffee to working customers like Emmet. He has facial hair printed on his headpiece probably to make him look cool. The front of Larry's torso is printed with a barista apron over his regular cafe uniform. The leg piece is also printed with the apron covering part of his legs. He does not have a double-sided face and there is no backprinting on his torso. Larry's accessory is a takeaway coffee cup which he gives to every customer who buys his coffee. The coffee cup looks just like what we get for takeaway hot drinks from cafes too, no? 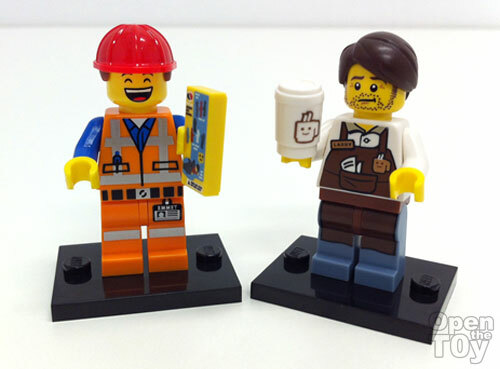 You can see both Emmet and Larry, together with many other minifigure characters in The LEGO Movie trailer. I know this will be an exciting movie. The LEGO Movie opens in cinemas this February 2014.